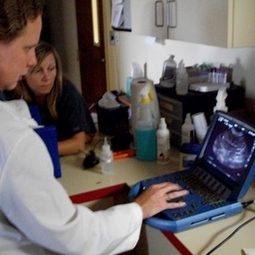 Millersville Animal Hospital uses ultrasonography to accurately visualize soft tissue structures in the body. Ultrasound is a safe, non-invasive procedure which normally does not require sedation. The excellent imaging of soft-tissue organs can be important to diagnose and treat many disease conditions.